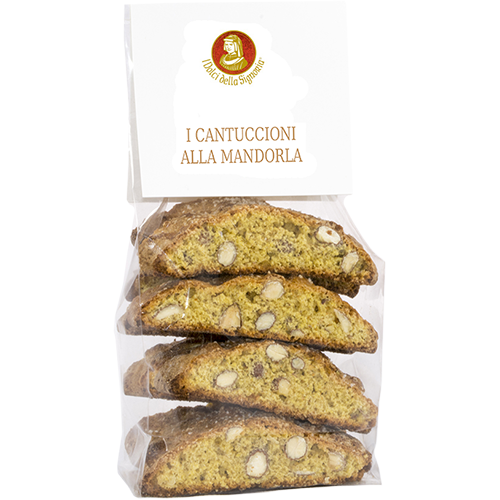 Belli Cantuccini con 25% mandorle, almond crunchy biscuits, from Biscottificio Belli in Prato, Tuscany, a slow-food rewarded Italian biscuit maker. Cantuccini con mandorle together with your coffee is a perfect match. Or why not together with Vin Santo as a dessert? Since they come in a nice bag with satin ribbon, it also makes them a sweet gift.